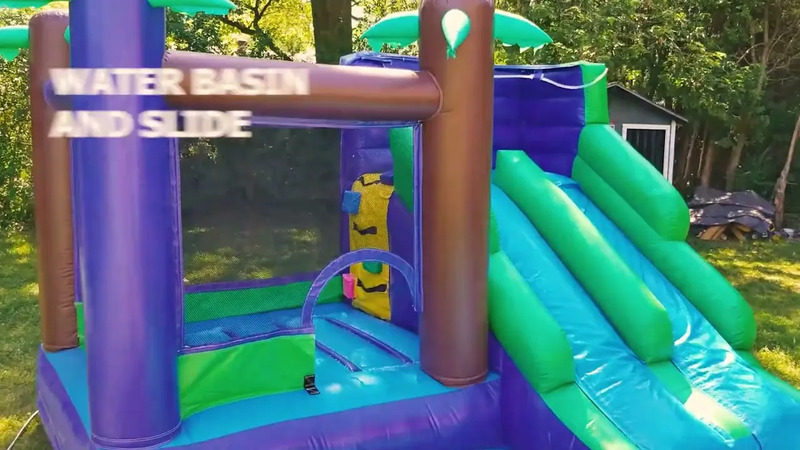 This game has a steep double slide that goes super-fast, and kids love. 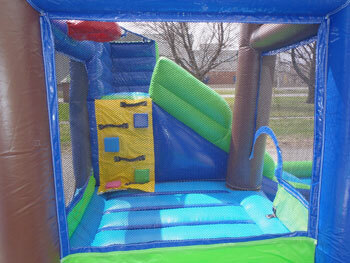 It has a small jumping area and water basin at the end of the slide. 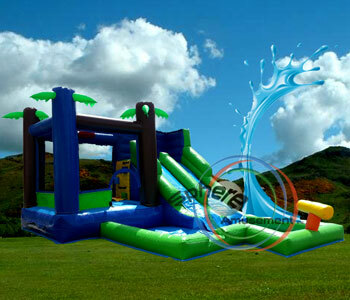 For those hot summer days, this type of games are perfect for entertaining kids and keeping them cool. The game is suitable for outdoors.